This is the third part of a five-part essay on the coming alliance of libertarian and progressive Millennials in American politics. Click here for Part I and Part II. Much ink has been spilled heralding the maturation of Millennials into adulthood, particularly in the wake of their impressive turnout during the 2008 and 2012 presidential elections. Born between 1982 and 2000, Millennials represent 41 percent of the US population, and nearly half of the workforce. According to a March 2014 Pew survey, Millennials differ from previous generations in crucial respects; they are more racially diverse, avid users of social media, skeptical of organized politics and religion, and distrustful of others. They are also entering the worst job market since the Great Depression. The unemployment rate among 18-29 year olds in February 2014 was 11.4 percent, almost five percentage points higher than the national average. Many Millennials are saddled with poor job prospects and high levels of student debt (two-thirds of recent college graduates have outstanding student loans, with average debt of $27,000); as a result, they are delaying homeownership, marriage, and the other trappings of adulthood. A sizable cohort are now living with their parents post-graduation – “the share of young adults living in their parents’ home reached a historic high in 2012,” at 36 percent (Pew 2014). 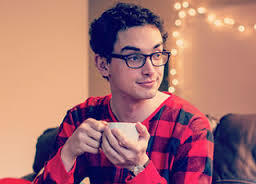 Not only does this guy live in his parents’ basement, you know that flannel onesie stays on well into the afternoon. Not all the news is grim, however. Millennials are the best-educated generation in history – a third of older Millennials (ages 26-33) hold a bachelors degree or higher, a positive harbinger in our knowledge-based economy (Pew 2014). Millennials have adopted new technologies at a much more rapid rate than previous generations, particularly social media platforms and mobile technologies. They are adept at creating digital networks based around personal identity. Millennials also report being upbeat about America’s economic future: “more than eight-in-ten say they either currently have enough money to lead the lives they want, or expect to in the future,” another good sign for consumer confidence and American competitiveness (Pew 2014). Politically, Millennials are more progressive in their views than previous generations yet eschew party identification. Between 2004 and 2014, the share of Millennials who identified as political independents increased from 38 percent to 50 percent (Pew 2014). However, 50 percent of Millennials either identify as Democrats or lean Democratic, compared to 34 percent who identify or lean Republican. On social issues (except gun rights and abortion), Millennials are more likely to embrace liberal positions; they have been at the forefront of the rise in public support for legalized marijuana and gay marriage, and are most likely to favor a path to citizenship for undocumented immigrants. Millennials are also more likely to support activist government. However, Millennials’ progressivism is tempered by a mistrust of institutions, growing disenchantment with President Obama, and skepticism about the Affordable Care Act despite believing government should be responsible for ensuring healthcare coverage. Millennials also report lower levels of social trust; “just 19 percent of Millennials say most people can be trusted, compared with 31 percent of Gen Xers, 37 percent of Silents and 40 percent of Boomers”(Pew 2014). The unprecedented racial diversity of the Millennial generation has been and will continue to be a game changer for American electoral politics. About 43 percent of Millennial adults are non-white, and more than half of newborns in America are non-white; America is projected to be a majority-minority nation by 2043 (Pew 2014). Indeed, the increasing progressivism and decrease in social trust seen in this generation are thought to derive from its increased racial diversity, as minority groups exhibit higher rates of political liberalism and report lower rates of social trust. Generational views are not monolithic, however. While white and non-white Millennials hold similar positions on social issues, a majority of white Millennials prefers smaller government (52 percent to 39 percent), while non-white Millennials support bigger government by a larger margin (71 percent to 21 percent). Similar results were found when comparing racial differences on government-provided health insurance (54 percent of white Millennials oppose federal responsibility for health insurance, while 68 percent of non-white Millennials support a federal role). Moreover, a recent Slate article notes that some Millennials are “committed to an ideal of colorblindness that leaves them uncomfortable with race, opposed to measures to reduce racial inequality, and a bit confused about what racism is” (italics in the original text). These findings indicate that race will continue to play a divisive role in American politics, though perhaps along different fault lines given demographic and ideological shifts. Ultimately, the dueling tensions in Millennials’ political ideologies – progressive, but mistrustful; connected to friends through digital networks, yet unmoored from traditional institutions; racially divided over the role of government, yet uniformly in favor of personal freedoms – will provide fertile ground for both cooperation and competition between progressives and libertarians in the future. Whether these tensions will upend the current two-party system or drive the current parties to progressive and libertarian extremes remains to be seen; however, the fact that the overlap between progressive and libertarian policy prescriptions is larger than the overlap between the current configuration of the Republican and Democratic parties is cause for optimism. Next time: How did we get in this mess? The trends driving political change. While millennials are becoming the best-educated generation ever, they still experience joblessness at record levels as well. There’s more to this juxtaposition than simply a bad economy. We’re in the middle of a revolution and not a political one. We are moving into a new era of technological revolution that will be looked at by future generations the way we look at the industrial revolution now. The next generation after millennials will thrive (as will a great portion of millenials eventually) as education catches up with the skill demands of the new revolution. I am going to wade into conjecture here in guessing that the last decade saw an increase in generic business degrees and liberal arts degrees; generic bachelor degrees if you will. The job market for people with generic degrees is over-saturated while positions in markets requiring Computer Science degrees or similar can’t find enough qualified graduates to satisfy demand. It’s not the fault of the millenials, it’s simply a matter of timing. As for the politics, I have yet to meet a progressive independent who is truly an independent. I think most of them like the image of the title but very rarely are independent when it comes to the ballot box. I consider myself a true independent (a reformed conservative to be honest) who votes based on campaign promises and then writes and calls the offices of candidates I’ve voted for who don’t keep their promises. I hope this is what we can expect from the progressive millenials. I hope they don’t feel the need to defend the candidates they voted for after the fact if those they elect don’t hold up their end of the deal. Nice piece by the way. Thanks for your thoughts Chris! I agree that eventually education will catch up with the economic transformation underway, I just hope that the political will exists to make hard changes — a lot of adults benefit from the education system we have and would stand to lose if we transition to the system we need. Furthermore, we need good teachers who have the skills needed for the new economy (programming, IT, computer science, etc) and the expertise for teaching. Unfortunately, the incentives aren’t where they should be to get these people in the classroom. Glad you liked the post!